Most of these early photos of the Urban Renewal Program's "walking mall" and adjacent areas were taken in the mid-1970s by Virgie Millegan Baird (1921-1999); photos by other contributors are so noted. 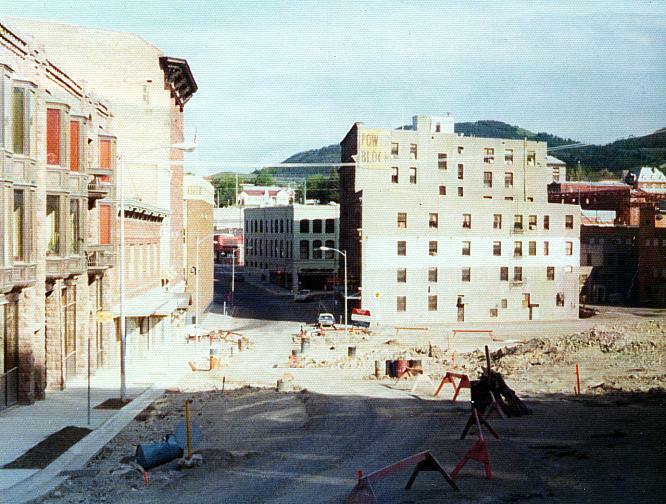 Many Helenans who are old enough to remember downtown when an actual street ran through it still resent the mall and the destruction of landmark buildings that took place. Prominent here is the J. M. McDonald Company, a Nebraska-based chain department store which operated in Helena in the 60s-70s. 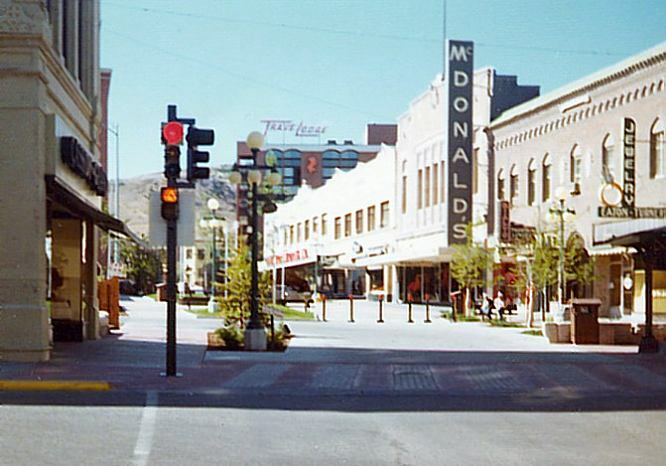 In this photo, the "modern" gray aluminum paneling that McDonald's placed over the original building façade has been removed. 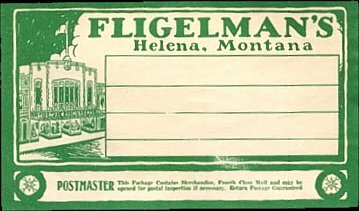 This 1929 building originally housed Fligelman's department store, where noted Helena artist Robert Morgan once dressed the display windows. On the right-hand side of the photo is Eaton-Turner Jewelry, which for many years featured in its window a series of the delightful Baranger Motions mechanized animated advertising displays. 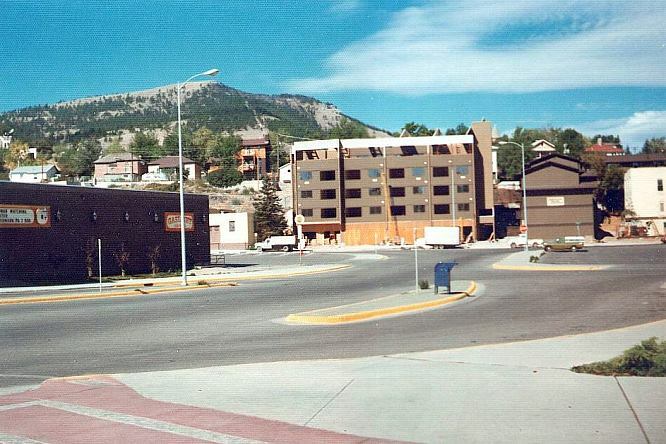 The TraveLodge Hotel, also seen in the above photo, has changed ownership several times, operating as the Holiday Inn Downtown, then as the Park Plaza Hotel. It was renovated in 2000, but as of August 2006 the hotel's nightclub was shuttered and the future of the enterprise was uncertain. 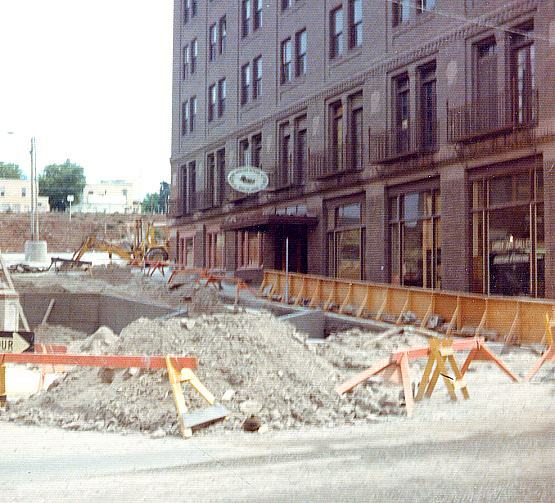 Construction of Cruse Ave. Grand St. once crossed here. 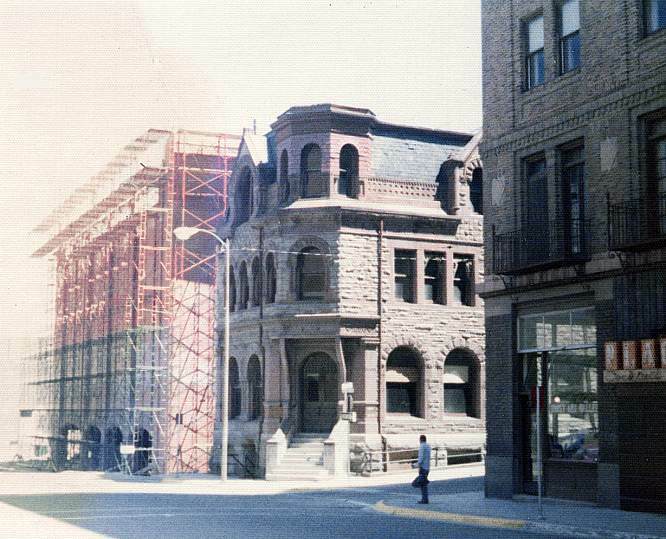 The building on the left once served as the Methodist Episcopal Church. Construction on what was once Grand St., at Last Chance Gulch. 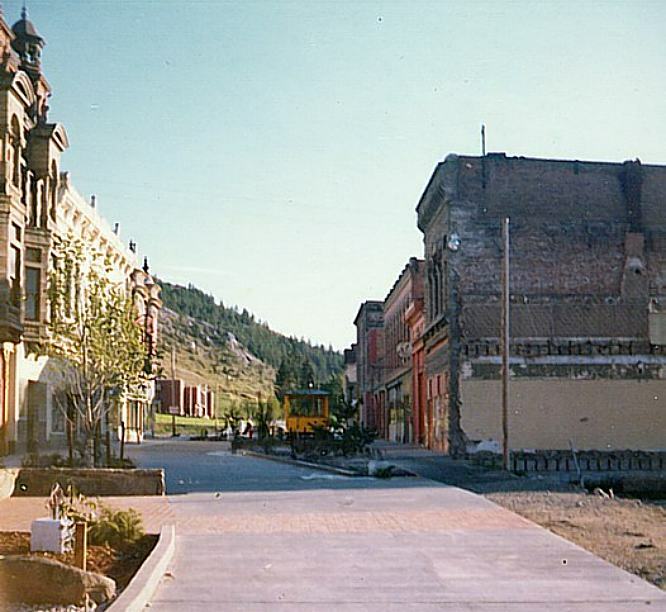 The 1913 Placer Hotel is on the right. The Arcade Building under construction. Vacant storefront in the Atlas Block. This space was once the studios of KCAP radio. Above the door can be seen the ghost of the KCAP sign. 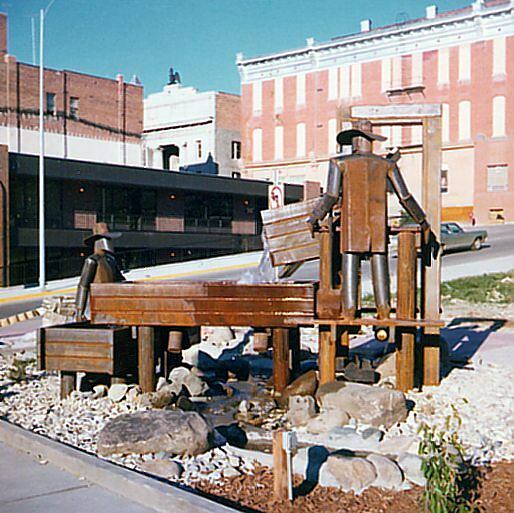 The hideous prospectors sculpture, Last Chance Gulch at Broadway. In the background are the columned 1915 Consistory Temple and the 1885 Masonic Temple, which has been the home of State Publishing for many years. The white two-story building sandwiched between the Novelty and Boston Blocks was Dorothy's Rooms, for many years a popular bordello. Dorothy Jospehine Baker took over the 19-1/2 South Main location in the mid-1950s from Ida Levy, who had operated there for decades. Levy, probably a native of New Jersey, was busted by G-Men for alcohol violations during Prohibition (1920-1933), but stayed in business. Baker took over around 1955, and through the years garnered public praise for the cleanliness and honesty of her operation. 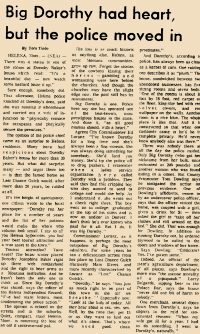 Two 1973 newspaper stories about Dorothy Baker. "Big Dorothy had heart" talks about community support for the operation. 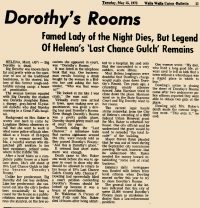 "Dorothy's Rooms" gives information about Dorothy's death, and the final days of her business. The following photos of the interior of "Big Dorothy's" are from the collection of Wally Peel, who took them after the death of Dorothy Baker in 1973, just prior to the public auction of her belongings.
" 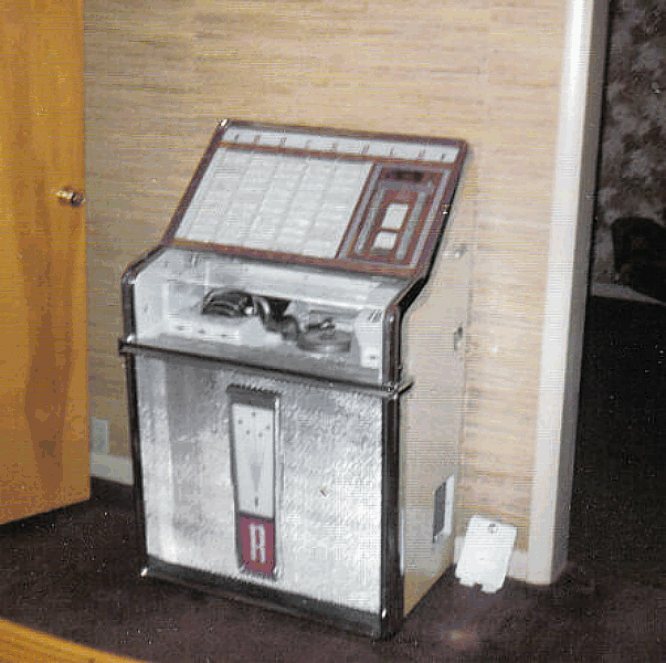 When Big Dorothy passed away in 1973, her family decided to auction her belongings off. My friend Jack Hargrove was hired to do the job. One evening he and I went up there to see all the items he would be selling. I brought a camera and took some photos. I would not claim that these are the only pictures ever taken there, but I would venture to say they are at the very least quite rare. 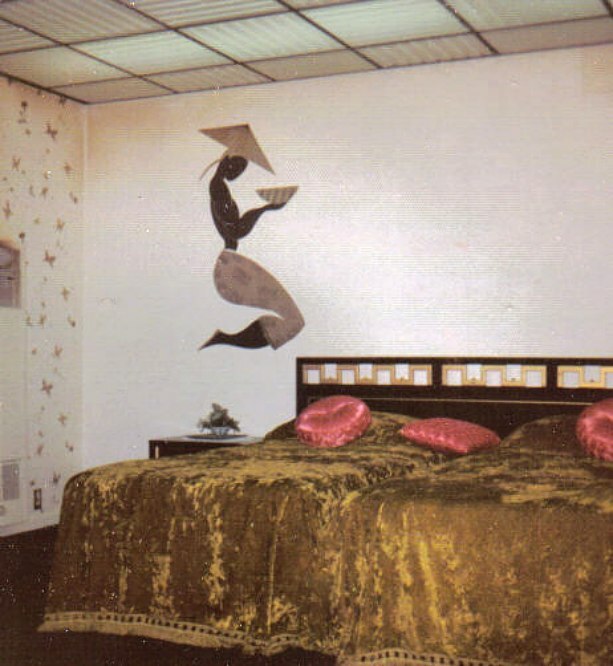 These are interior photos of her establishment exactly as it was when they closed her down." 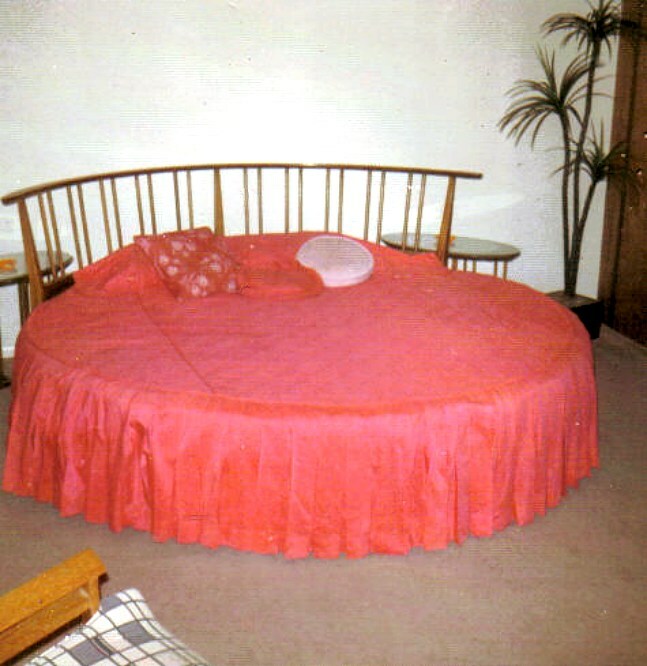 The fabled round bed. Hugh Hefner had nothing on Dorothy. "Thank goodness walls can't talk. 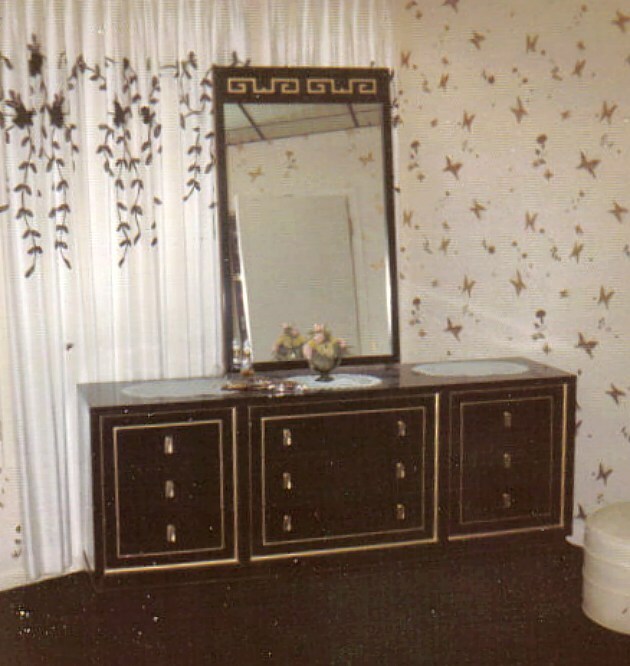 But they do speak, in these wonderful photos, since Dorothy had a gift for a certain mobile home motif of interior decorating that created the feeling of wandering through the prop rooms in the Old Brewery Theater. 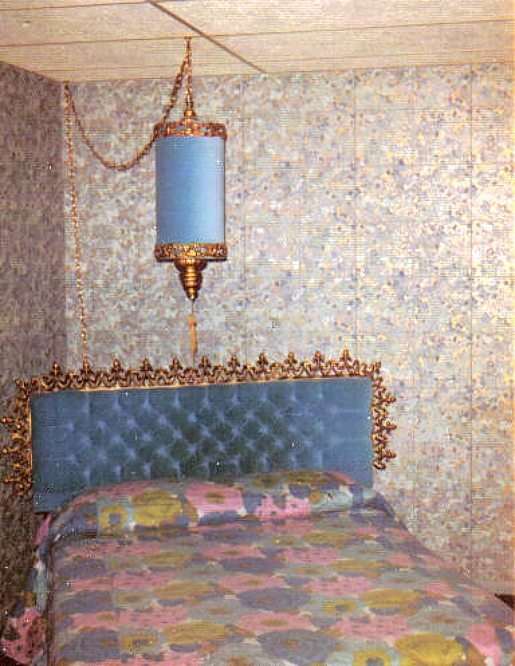 "The place was a maze of cheap furniture, space-age lamps, wall paper with sprinkles, gilded mirrors in unusual locations, and, of course, the slightly "off" ladies, who scampered about on high-heeled slippers with pompoms on the toes. 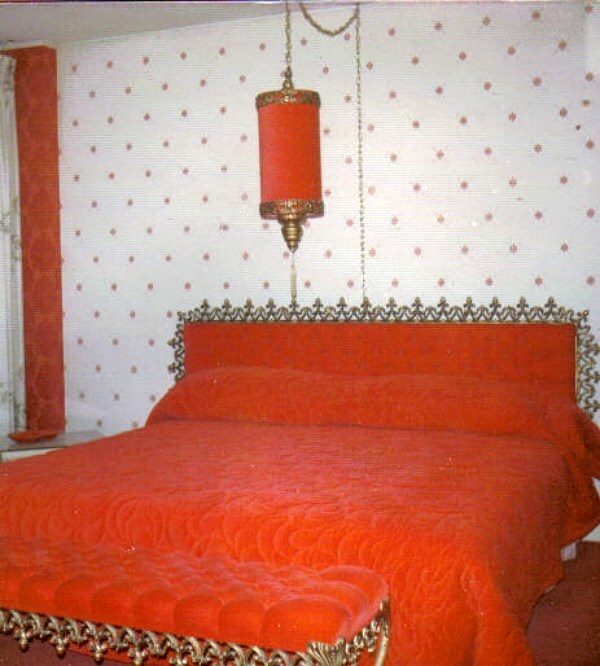 The round bed looks all too familiar, in a deeply burning kind of way. But those rooms were a local boy's rite of passage, at least for those of us who did not stay home Friday nights to practice the bassoon. "The experience was a tad expensive if a lad was stacking hay at a nickle a bale, but we paid up and blessed Dorothy in our most secret hearts for what love she had to offer." 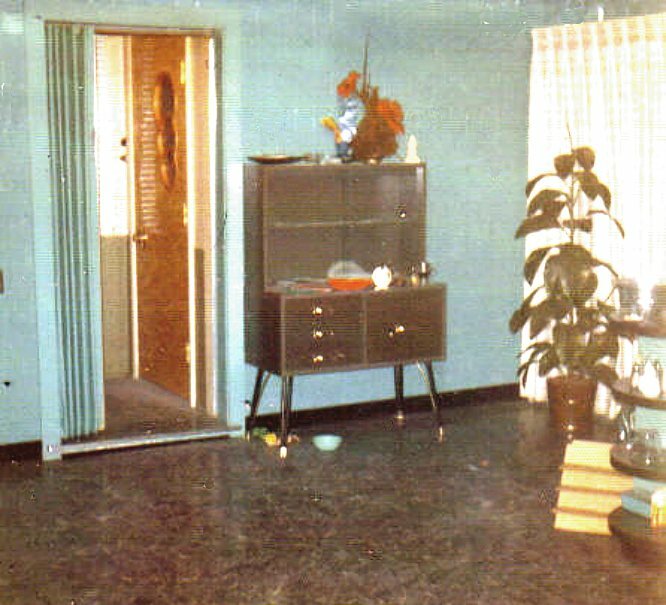 Shades of blue made this room a cool oasis. 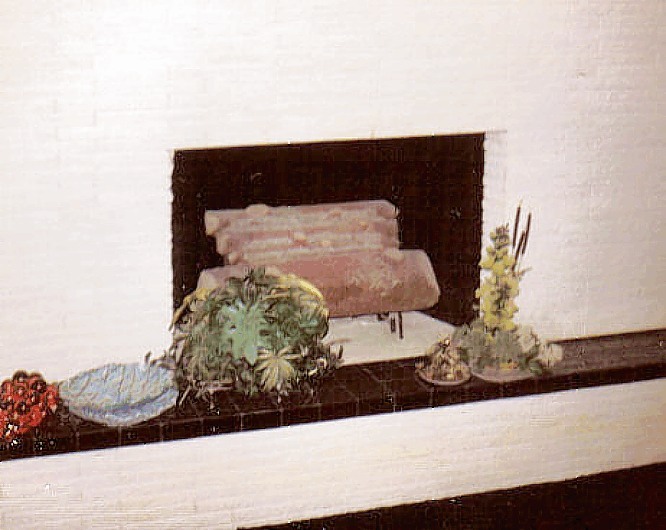 A gas fireplace added a warming glow. Probably a common area of the establishment. Oriental charm, with a suspended back-lit ceiling. Dresser in the oriental room. 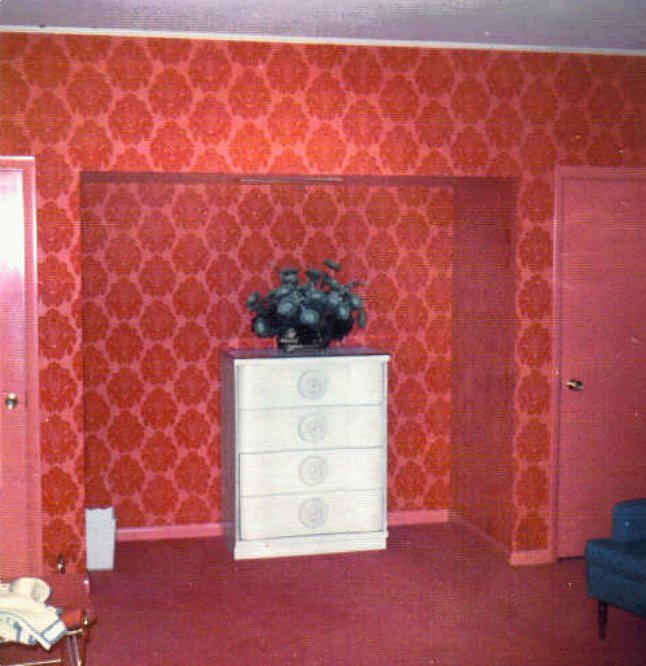 Red flocked wallpaper -- a bordello classic. 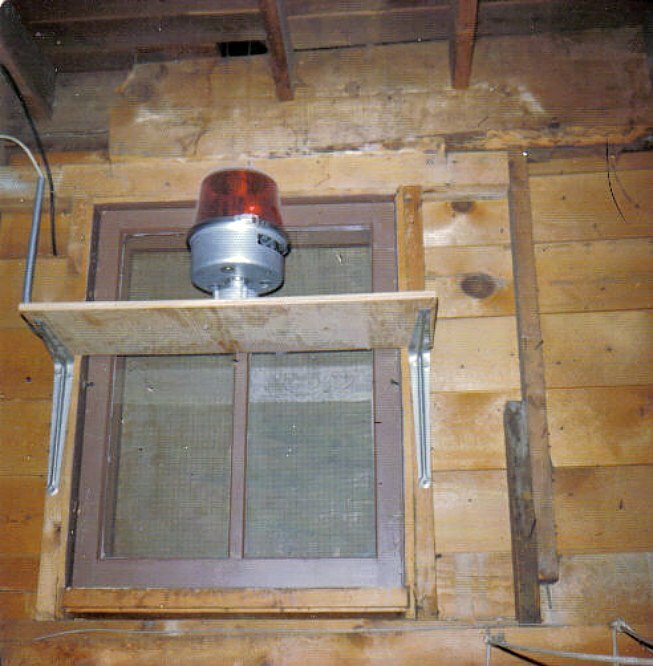 "This light was mounted on a shelf in a small space just off what I was told was a sitting room Where her customers waited. By the door to that space there was a light switch. When Dorothy had trouble with a customer, she would turn the switch on, and the red light would start flashing, sending a beam out into the alley, signaling that she needed help. Since the light was in another room, customers had no idea help was on the way. The light looks familiar. Where did she get it? You tell me." Many thanks to Mr. Peel for sharing these rare images! Walking mall, looking south from near Broadway. 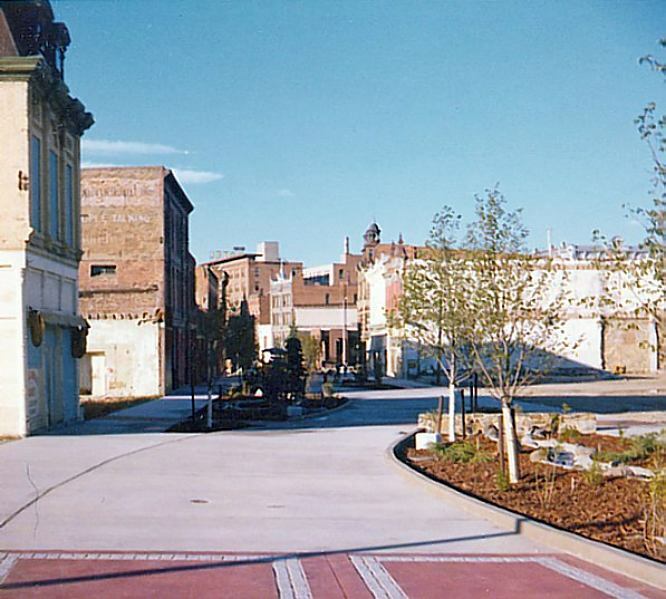 Walking mall, looking north from the 1888 Colwell Building, on the left. 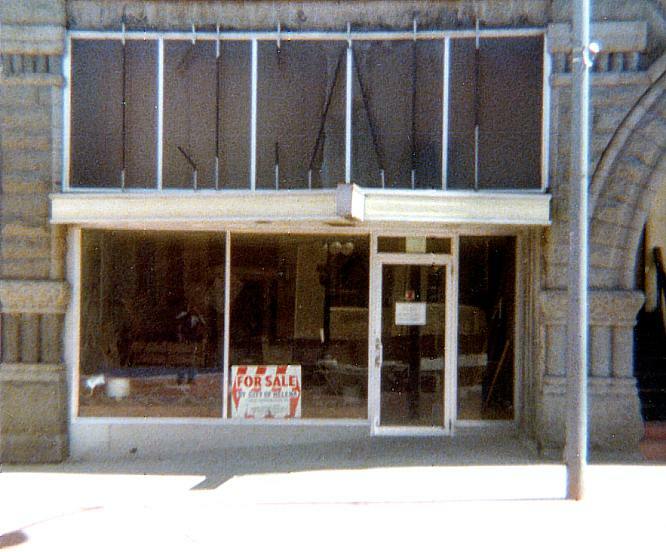 Vacant storefront in the Colwell Building. 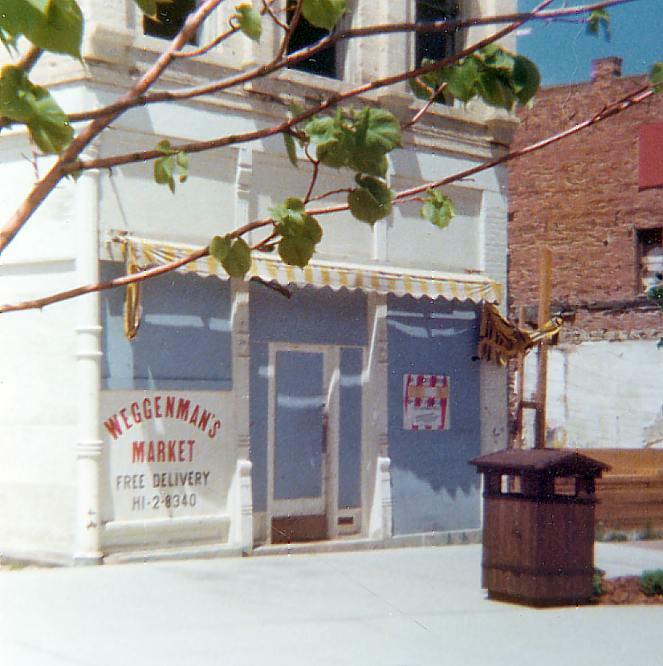 Weggenman's Market occupied this space for decades. 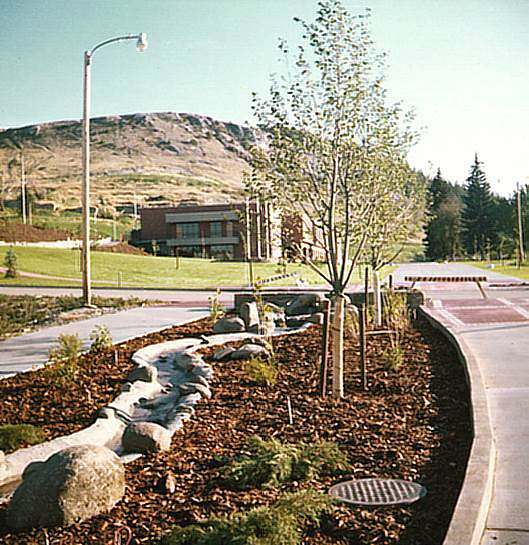 Landscaping on the southern end of the mall. Looking south at the future site of the City-County Library and, further on, the site of the new (now the old) Federal Building. The same scene a few years later. 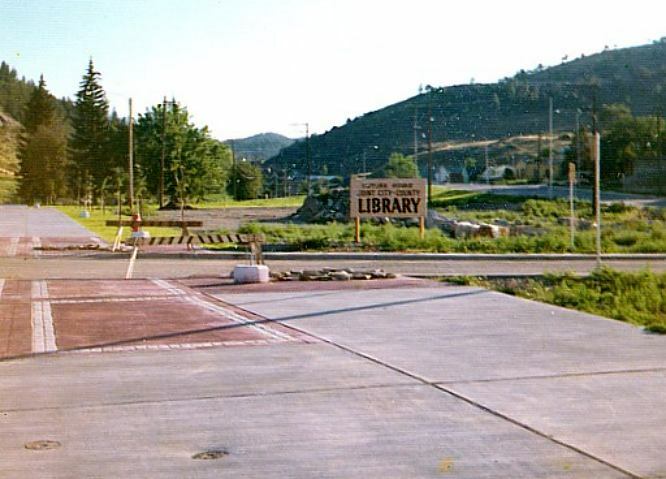 Notice how the fortress-like Federal Building and the ultra-bland library spoiled a perfectly nice view. The new lampposts are similar in design to those used in Helena during the1920s. 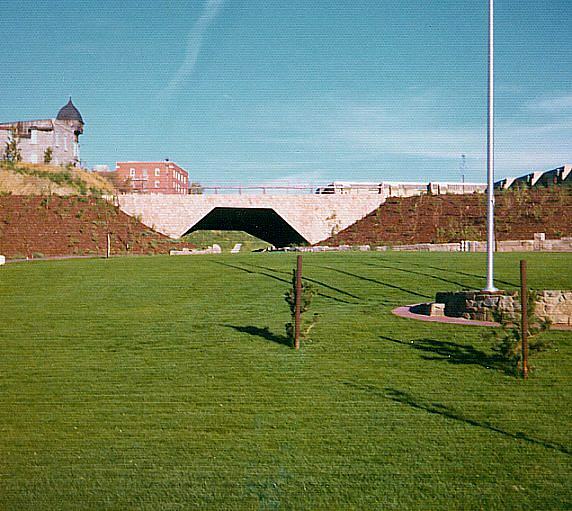 Looking east, Cruse Ave. pedestrian underpass. Prominent on the left is the 1889 Bluestone House. Looking west on Broadway from the mall. 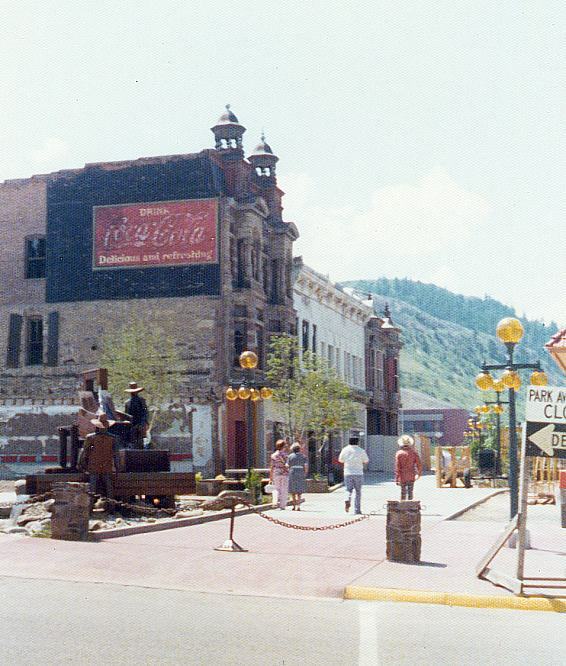 The Gaslight Cinema is on the left.